I didn't want a museum artifact, I wanted something fun that I could enjoy on nice summer days. I didn't know how people would react to it at a car show. Yawns? Humiliation? Pointing and laughing? Nope. I was surprised at how big a hit The Thing was. Lots of questions, and lots of people saying "I remember when these first came out" and "I remember the TV commercials for these, they showed how you could take the doors and top off and fold down the windshield!" The rest was mostly questions like "Is this really a Volkswagen?" and "What is this?" That's generally the trend ... people either remember The Thing fondly, or else they are completely bewildered by it. There are more car show pictures here, including a few pictures of a beautiful 1960 Wolfsburg Edition Beetle. There was also some kind of contraption that used to be a beetle, but isn't any more. Please look and enjoy! The car show was way more fun than I expected. 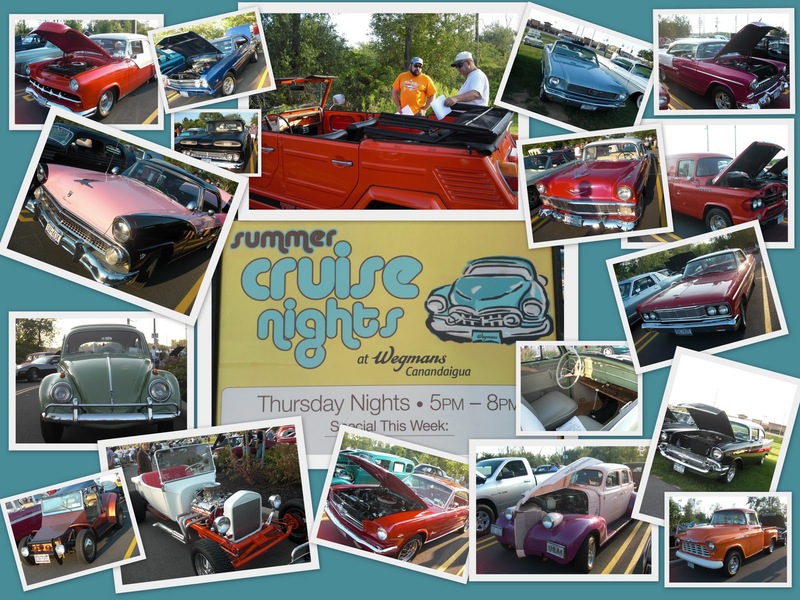 Wegmans does a great job - there is food and door prizes, and they run them all summer. I will definitely go again. My favorite was the little kid that said "Wow, Grandpa, what is that car?!"